The planned standalone Flash film, Flashpoint, has new directors and they have a bit of a superhero pedigree. According to Variety, Spider-Man: Homecoming scribes John Francis Daley and Jonathan Goldstein have been brought on to direct the Flash film, replacing the departed Rick Famuyima (Dope). Daley and Goldstein do have prior directorial experience (Vacation, Game Night) but their work penning the script to the 2017 smash-hit Spider-Man: Homecoming gives far more validity to the hire. 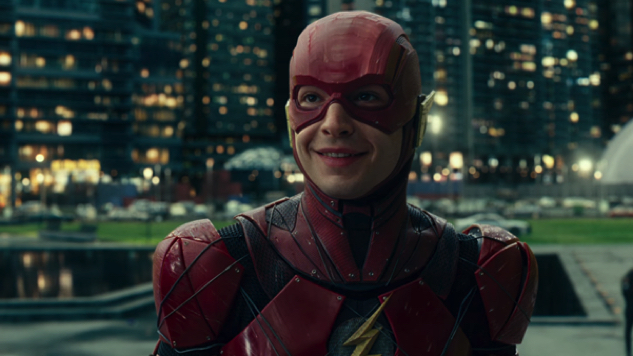 The hire also hints at the possibility of a more humorous tone to the film, which would fit with the initial presentation of Barry Allen within the DC Extended Universe. The move also makes sense as the characters of Barry Allen and Homecoming’s Peter Parker share more than a few similarities. The film will be based on the Flashpoint comic book series. The news comes after the studio’s failed attempt to secure Ben Affleck as the film’s director. Affleck is rumored to be reprising the role of Batman in the film, but his participation in the DCEU has been called into question recently. Flashpoint has no release date and won’t begin filming for a while, as star Ezra Miller (The Perks of Being a Wallflower) is currently preparing to film the second installment in the Fantastic Beasts series. See what we thought of Miller’s Justice League performance here.